The lands on the border of Scotland and England are probably more famous for being the northern most outpost of the Roman Empire, with Hadrian’s Wall attracting archaeologists and visitors alike. However, apart from the Roman visitors, the area has it’s own rich and colourful history, being the pawn of the monarchs for hundreds of years. 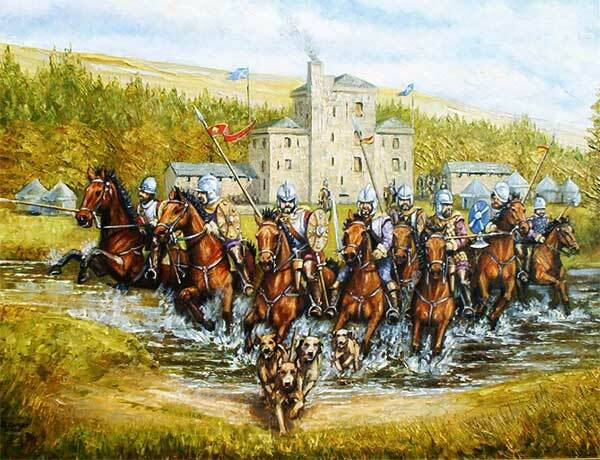 Mention the term Border Reiver, and most people will conjure up images of bands of brigands and ruffians who stole and murdered with almost daily regularity. In fact many writings about the Border Reivers also tell of a lawless society, uncontrollable by monarchs on either side of the border. These are often just lists of dates and notorious deeds. Whilst most of this is true, one needs to understand the often inhospitable region, the feuds between the crowns and the demands of warrior kings, to begin to have any comprehension of the border people and their way of life. People living in the borders were indeed victims of circumstance, with their lands and possessions regularly destroyed during clashes between the crowns and the clan warrior kings in the region, who demanded loyalty above that of the monarchy. It became near pointless to own anything, as it would only be destroyed or taken away, so the people adopted the “if you can’t beat them, join them” approach and created their own set of rules and a tough way of life. Being in the borders for over 300 years was not living it was merely survival. 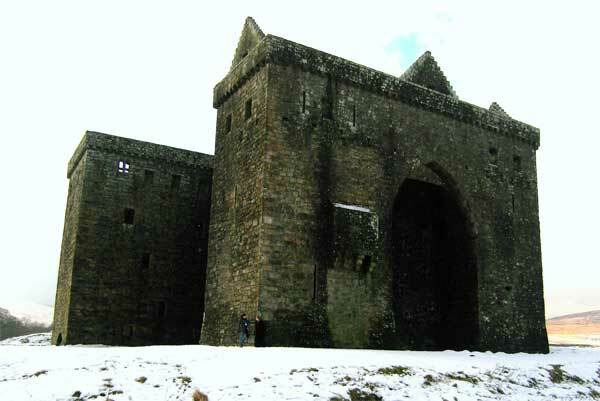 Many people have written with varying degrees of accuracy about the Border Reivers and the story of Kinmont Willie, probably the most well known by Sir Walter Scott. Tom Moss has taken a new approach by writing the story combining fact and fiction under the same cover; Deadlock and Deliverance. Years of gathering factual information and visiting sites, is instantly obvious as soon as one starts to read the book. Tom researched many accounts of the time to get a factual hold of events and an idea of the personalities involved. From this research he had the factual bones on which to put historically based fictional meat. Deadlock and Deliverance tells this story in two parts, from both Scottish and English prespectives and presents the book in a way which makes more sense of the facts than any other book on the subject I have read. “There has been an honest endeavour by the author to search out and understand the personal relationships, the bonds, amicable or hostile, that tied together the main protagonists in Kinmont’s capture and release; the people caught up in the aftermath of the capture and subsequent audaciousness of the manner in which the escape was planned and carried out, have become flesh and blood, not just names in snippets of history. It is a story of bitterness, discord and breakdown of the personal relationships of those individuals who were to become prominent in the Kinmont Affair”. For anybody interested in the history of the Scottish/English border or the deeds of the Border Reivers, Deadlock and deliverance is a must read. The text is supported by photographs and some superb artwork by Bill Ewart of Langholm and all presented in a wonderful hardback book featuring one of Bill’s drawings inset into the clan Armstrong tartan and bearing the clan coat of arms. This book does not deserve to be hidden away on the bookshelf but should grace the table for all to see and read. The time and effort spent researching the historical facts also makes this book a great resource for teachers and tour guides. It should have pride of place in all border region bookshops and gift stores. For those of us who have ancestral links to the Reivers, and there are many still around the border region. Deadlock and Deliverance gives us an insight into the lives of our forebears and the events that shaped them. 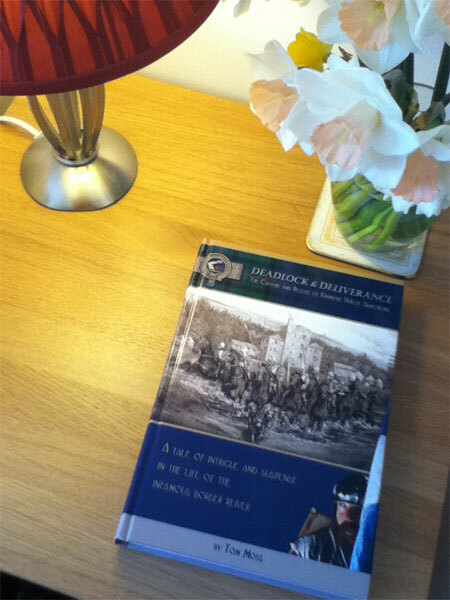 Deadlock and Deliverance – Reiver History website;Learn more about the author and his books.